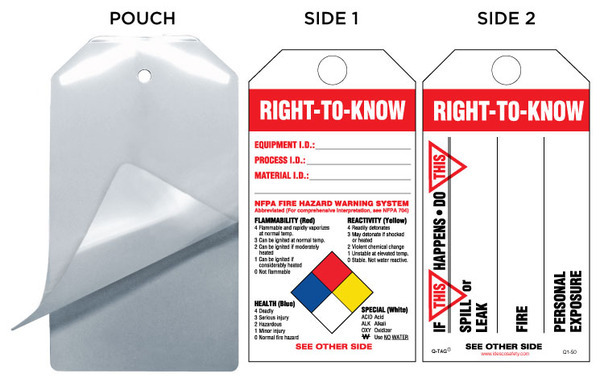 Employees use this NFPA-approved tag to designate specific dangers posed by the presence of liquids, gasses or powders. 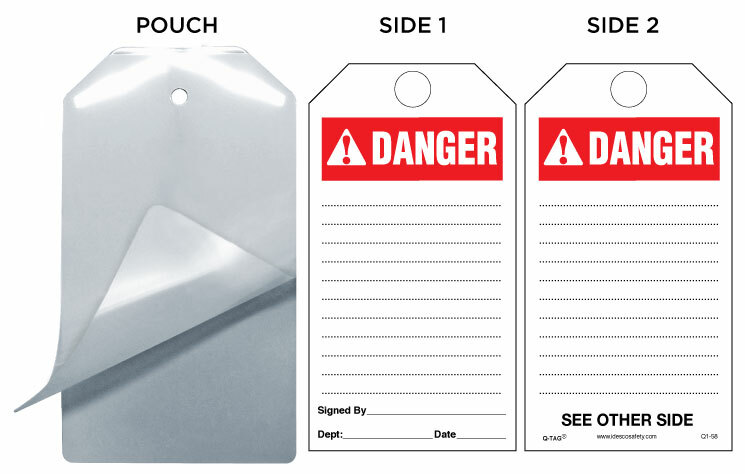 These Self-Laminating Tag Kits allow you to customize a tag by writing specific instructions in pen, pencil or marker. 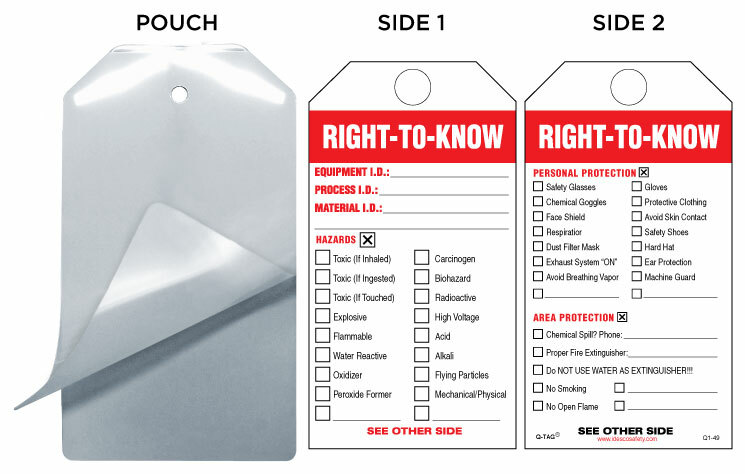 The tag is then laminated with a heavy-duty Laminating Pouch included in the Kit, by passing the tag and pouch through an Idesco desktop laminator (or other laminating machine). 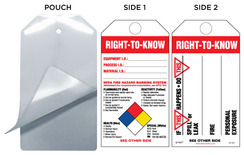 The tag is sealed in 20 mils of rigid plastic, fully protected from moisture, dirt, grease and chemicals. 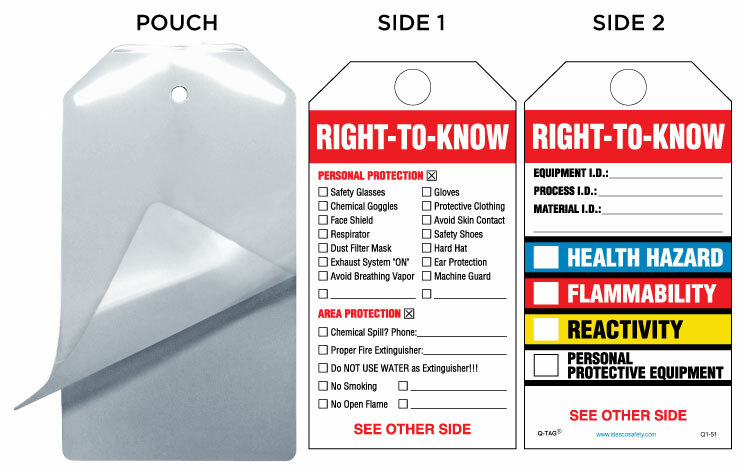 This durable tag exceeds the OSHA-required 50 lbs for lockout situations. Laminating Pouches are available with a matte finish on both sides, a gloss finish on both sides, or with one side matte, one side gloss.